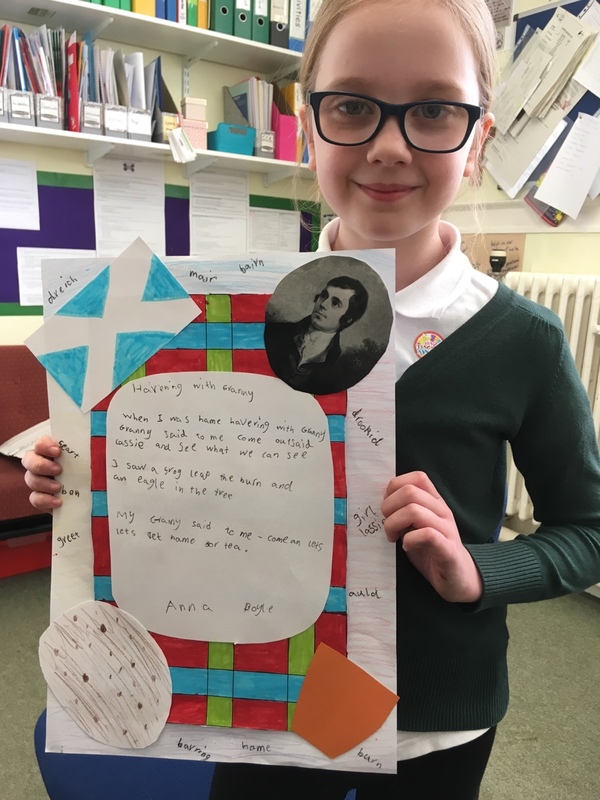 A lovely visit from Anna in P3/4 with her super duper Scottish poem written in Robert Burn’s style. Fabulous work! Fantastic poem Anna! I love your use of Scots language!